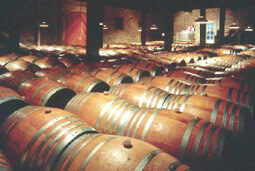 Welcome to my Wine Cellar. This site will be devoted to wine and all things related. I hope to create a hypertext wine list of my favorites, links to my favorite wineries, and photos and experiences I've had in the wine country. I picked Cabernet grapes at EDEN CANYON VINYARDS! Click on the photo to watch me turn them into WINE! 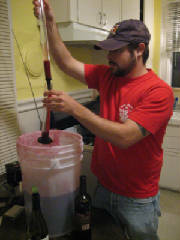 A simple, easy to follow guide to making your own wine at home without a major investment. 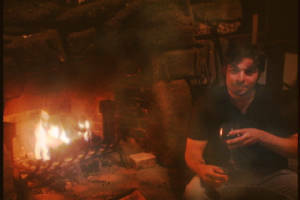 Eden Canyon Vineyards on T.V. Don't forget to look at the GRAPE PRESSING photos. Contrary to what some folks believe, making wine is not difficult to master. Nor is it an expensive hobby to get started in. Truth is, if one enjoys being outdoors, foraging goods for the wine barrel will open up a whole new world of recreational fun. And once you've rounded up the equipment needed, you'll be delightfully surprised at what fine wines you can enjoy at so little expense. 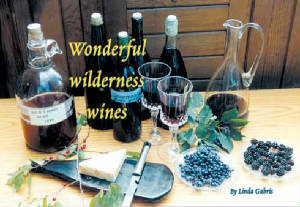 Check out my Blackberry wine making adventures! Click on the Photo. E-How How to make Blackberry wine. When you go to Napa, and you are driving up 29, turn right onto Oak Knoll Rd. Turn Left on Silverado Trail. This is an amazing road. It look like it should be in some AAA calender or something. 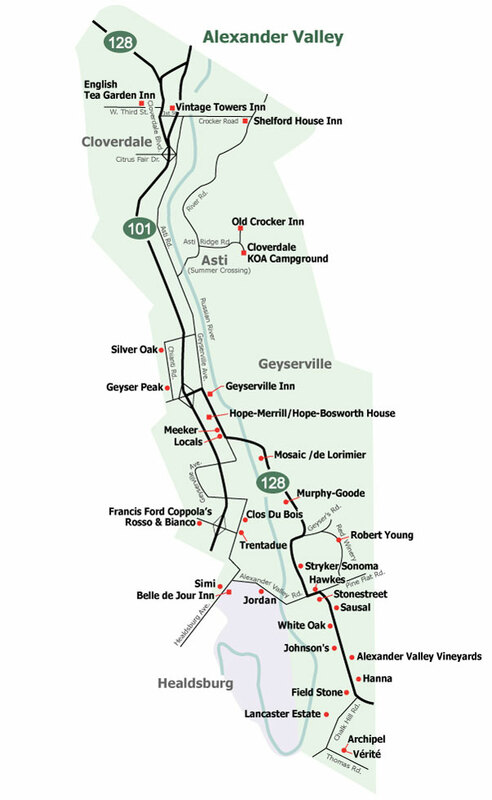 Map of Napa. Click on image to enlarge. Follow the red line North on Highway 29 to get to Silverado Trail. This map shows only some of the wineries in Napa. I love Napa! I have been there numerous times and it is great. I also have been to Sonoma a few times and liked the vibe there too. But I don't want to come off like northern California is the only place for wine. 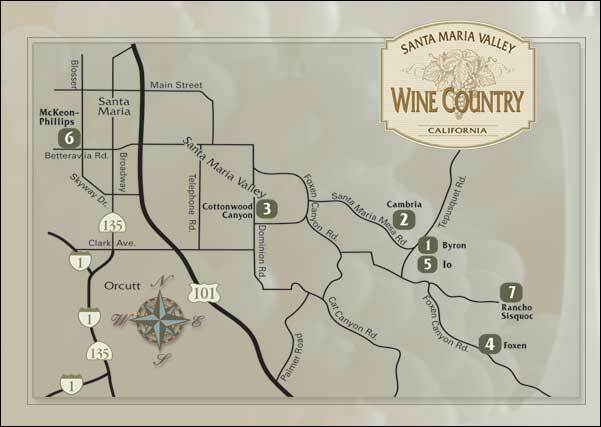 I had the pleasure of living in Santa Maria California in the central coast area and the wine there is excellent. It is so good it was featured in the movie Sideways. A lot of people think this movie is about Napa or Sonoma, but it takes place on the Santa Maria Wine Trail which is famous for its amazing Pinot Noir. My favorite is from Cambria, Julia's Vinyard. Anyway the point is, there are many great wines from all over California, and the world, and I want to bring them to this forum. Please return often for updates. Discover the Central Coast's best kept secret! Click on map. Glassy Winged Sharp-Shooter: Threat to Agriculture! "Music is the wine that fills the cup of silence"
"Wine is the most civilized thing in the world." "God made only water, but man made wine." "No nation is drunk where wine is cheap, and none sober where the dearness of wine substitutes ardent spirits as the common beverage"
Cambria, 2005 Pinot Noir Julia's Vinyard. Our 2005 Julias Pinot Noir offers dark ripe Bing cherry, raspberry and strawberry flavors. Our signature cuvée, Delicate golden peach color.. If Mumm was to pick one wine to represent the Napa Valley, it would be Brut Prestige. Click bottle to view notes. BEST North Bay Wine Country Interactive Map EVER!!! Click on small map for Large interactive MAP! This is my latest favorite place to wander. Alexander Valley is ripe for Pinot Noir.